After an operation to remove a lump from his throat and an overnight stay Nouska the Husky is back at the Animal Shelter and doing well. The lump which was found after Nouska was signed over to the Shelter has now been removed and he is on pain relief, antibiotics and a special food to help his recovery. We have sent the lump away to be diagnosed and will hopefully no longer cause Nouska and more issues. 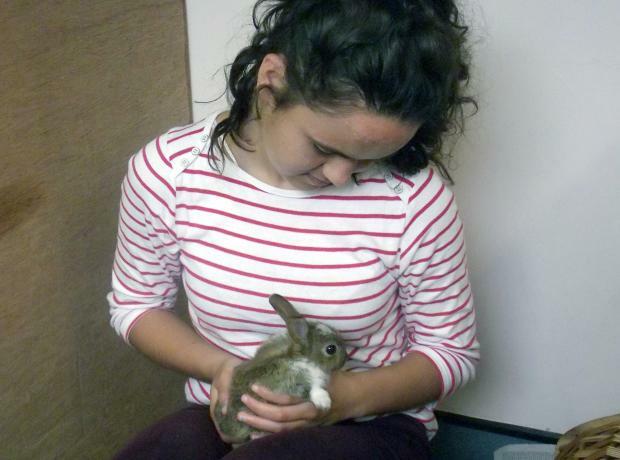 The GSPCA helps care for and rescue thousands of animals every year and without our wonderful volunteers we really couldn't do it. From cleaning kennels to fundraising there are dozens of roles for volunteers to help the GSPCA and next Wednesday we have our second Volunteer Welcome and Induction Evening. With the success of the first last month which drew a crowd of 18 new volunteers to the Shelter the second is planned for 6.30pm on the 17th July. 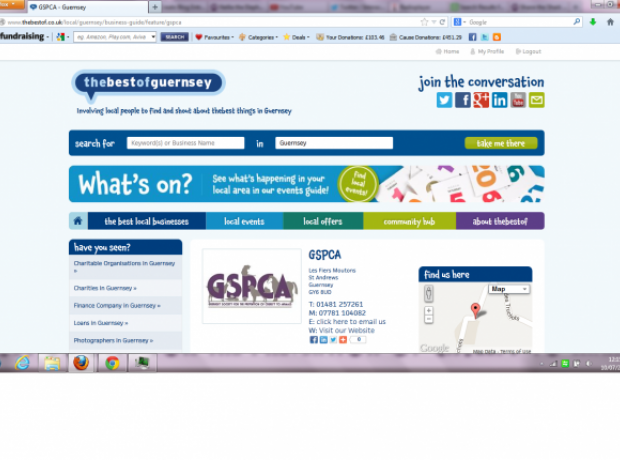 We would like to extend a thank you to the team at The Best Of Guernsey for the feature of the GSPCA. The page is full of information about the Shelter, what we do, our services, events and much more. This week we have received a young kitten that was rescued out at Icart Point. The GSPCA are concerned that there may be others and if you are out in the area and come across any please get in touch with the Shelter. Tiger as he has been named was found extremely thin, no mother in site and full of worms, fleas and may not have survived if he had not been rescued. This time of year kittens are often rescued and brought into the GSPCA and just this morning another feral was rescued and brought in from the Bouet area who is now named Molly. This morning we are wishing Nouska the Husky the best of luck with his operation to remove a cancerous lump. Nouska who has a lump in his chest is off to the vets today to have it removed. We are so thankful to everyone that has donated towards him. All the team at the GSPCA will be thinking of him today and we are all hopeful for a successful operation. We would like to thank everyone that has donated towards Nouska the Husky's operation so far. Nouskas is going for his operation on Wednesday and we are all keeping our fingers crossed for this lovely lad. Nouska is an older husky that has found his way to the GSPCA Animal Shelter and it has developed that he has a cancerous growth in his chest. To help save Nouska and lengthen his life next Wednesday he is having an operation to remove the lump. With any operation there is both a risk and a cost but the vets and the team at the GSPCA feel that despite Nouska being over 10 years old he has a lot of life and love to give. Lucky stray Budgie survives a Bird of Prey attack. Have you lost your Budgie? Last Thursday 'Tomcat' as he's been named had a very close escape. Having escaped from his home Tomcat was spotted after being dropped by a Bird of Prey who nearly had him as a meal. 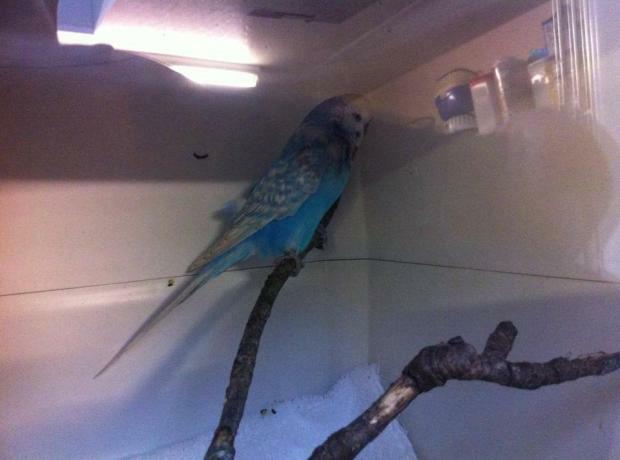 Fortunately the lucky Budgie that was found at Ronez Quarry was rushed to the GSPCA and is recovering well. Tomcat is under treatment in an intensive care unit and we are appealing for the owner to come back. Tomcat is a male Opaline Spangle Light Blue adult Budgerigar and if you have lost yours please get in touch on 01481 257261 or pop in to the Shelter in St Andrews. The GSPCA would like to officially thank BDO Limited for their Charitable Trust donation which has enabled us to erect additional aviaries that will assist in the rehabilitation and release of the many sick, injured and orphaned birds that arrive at the Animal Shelter every month. On Saturday the 20th July 2013 Roy Cochrane Presents "Guernsey Changes". Tickets are £6.50 each and include afternoon tea. There is a raffle on the day and proceeds from the day will be donated to the GSPCA. The talk starts at 2.30pm and those going are asked to arrive at 2pm. To book your tickets please call Roy on 01481 722772 or mobile 07781446205.